An event is coming up. You know roughly when it is, but you don't know the exact date, time or location. Where do you look? In this day and age, most of us head over to the computer and look for the specifics in any number of places: Facebook, Twitter, websites, community portals, etc. And then there are calendars. Most organizations have one, either on the homepage of their website, or one click away on a page of its own. Each advocates for wide usage by event organizers, social profit groups, and any other entity doing things that require the public to have access to the who, what, where, why and when. 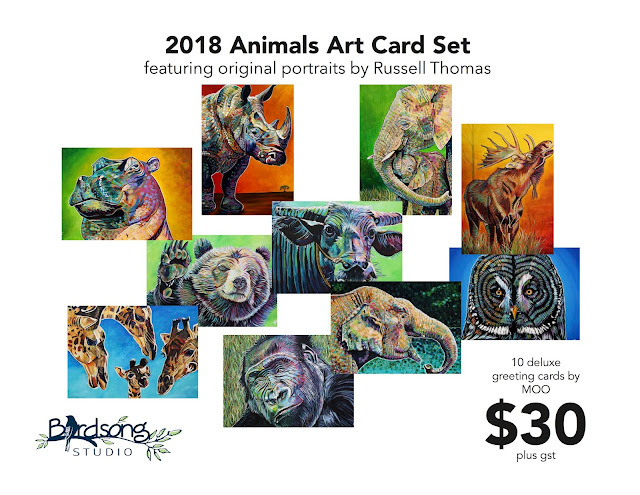 The trouble has always been that there a lot of calendars, and all require someone to either feed in the information directly into the calendar interface or email it to someone who does it for you. If you're an event producing entity, either you have someone on staff or a volunteer who does nothing but feed information to the myriad "community" calendars, or give it up all together. The result has been that there is no one definitive calendar, and trying to organize our community life has been difficult. Over the years, many organizations have started the conversation and had the intention to create that one central online calendar that everyone would buy into and populate with data. In fact, this aspiration, born out of a legitimate need, pops up at least once a year, and has for at least the last half decade. Several groups have researched it, others have attempted to gain consensus to move forward with a solution, and some larger organizations have attempted to embrace it as part of their mandate. I'm speaking in broad, sweeping, and purposefully unspecific terms as many people have attempted to crack this particular nut, and I have too much respect for each of them to draw attention to the things that didn't work. Today, I get to focus on something that has worked. St. Aidan's Society, during a strategic planning session, identified this communication/connection gap, as so many others had done before them. 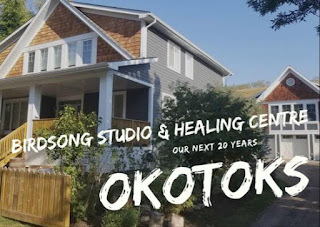 They embraced the vision of creating an online community calendar and senior resource centre. The MAC was unveiled June 23 at a special program hosted at the Golden Year's Society. 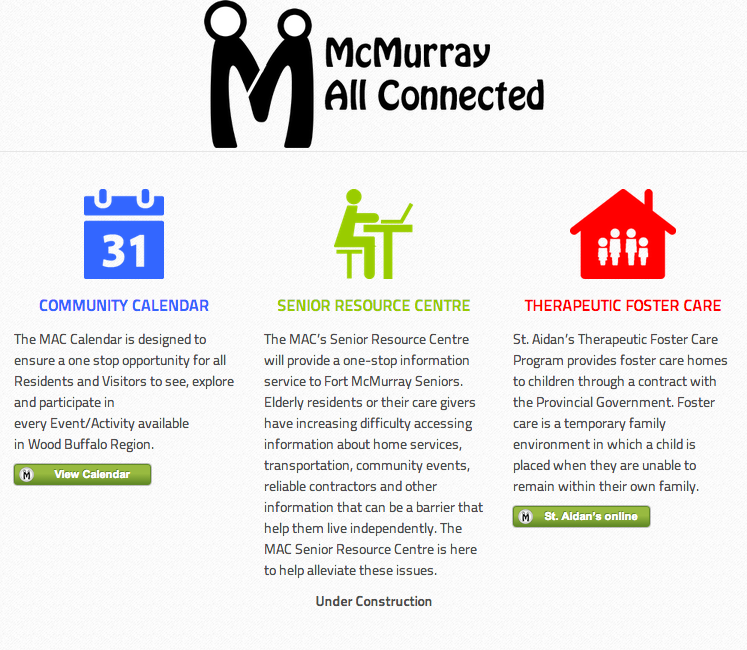 The MAC is McMurray All Connected (www.mcmurrayallconnected.ca). Being rather slow on the uptake, I didn't catch the acronym immediately. I learned that you can customize your view of the calendar based on the types of things you are interested in. You can also "subscribe" and have those events automatically appear in your own calendar on whatever device you are using. Interestingly, a comment just popped up on social media saying that "Company X have had that for over 2 years. People just need to use it." Fair point. I would hazard a guess that more than one organization is going to respond with the claim that they have similar functionality and that they had the full intention of being the central calendar, the one-stop shop for all things events related. So what makes The MAC different? Based on what I heard today, they have taken the unparalleled step to back up the project with a person, someone who will have the responsibility of raising awareness, making connections, promoting The MAC with multiple organizations across multiple sectors and event types. That person is Sandy Grandison. She and the St. Aidan's team have been at this for many months and were able to soft launch The MAC a number of weeks ago. With effort and a lot of communication, the site has already had over 2,500 visitors and an excess of 15,000 page views. 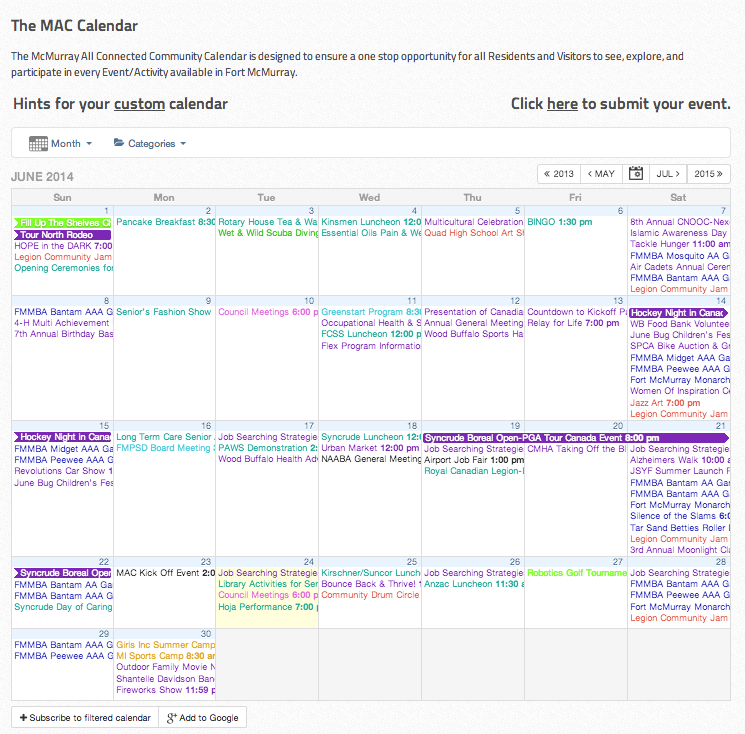 Will The MAC Community Calendar grow into our most reliable source for event information? Only time and user experience will answer that question. If organizers find the interface easy and reliable, if community members consistently find the information they are looking for, it could mark a new day for events in Fort McMurray. I certainly wish Sandy and St. Aidan's the best in their exciting endeavour.